Memorial Day sales online are worth perusing for big-ticket items you've been eying. This Memorial Day weekend, you can snag some of those higher-priced home cleaning and organizing items you've been thinking about on sale at Amazon ! Of course, it's also a great time to stock up on more affordable favorites for a steal. As there are far too many items on sale for Memorial Day to name or list, here is a peek at 5 Memorial Day standouts that caught our eye to get you started. The BLACK + DECKER Cordless Lithium Hand Vac is ideal for quick pick-ups around the home with its strong suction and fade-free power. Ever ready, the hand vac can hold a charge for up to 18 months hen off the charger. Plus, you're saving 27% if you snag this product now. Protect yourself and your family against allergens and bed bug infestations while you sleep with the AllerEase Ultimate Protection and Comfort Waterproof, Bed Bug, Antimicrobial Zippered Mattress Protector . Over time, dust mites, pollen, pet dander, and even bed bugs can collect in your mattress, aggravating allergy and asthma symptoms. This zippered mattress encasement helps prevent those harmful particles and pests from taking up residence in your mattress. Added benefits: It's waterproof to protect against spills and stains, and offer a comfortable, soft-top fabric with a patented temperature-balancing technology. The MaidMAX Standing Coat Rack for Entryways and Hallways is a great storage solution for backpacks, jackets, and handbags the family discards daily upon arriving home. This space-saver is slender enough to fit in just about any tight entry space, yet durable enough to hold and organize the family's coming-home stuff on 11 spiraling hooks. It's an easy way to discreetly but efficiently organize the family's daily items upon arriving home, meaning they'll be there waiting in the morning as everyone heads out the door. This stackable wooden shoe rack from MaidMAX is another entryway essential at a great price during the Memorial Day Weekend sale. This sturdy and durable on-the-floor shoe tower features 4 shelves that can hold up to 12 pair of shoes. The shelves are made from non woven fabrics, and are designed to be breathable and non-irritating to keep your family's shoes fresh and steady. The ILIFE A4s Robot Vacuum Cleaner offers powerful suction that picks up dirt easily, spiral blade brushes that efficiently clean carpet, and side brushes designed to get corners and areas along the wall clean. The 3-step cleaning system provide a thorough, concentrated clean at a great price this Memorial Day Weekend - $50 off ! The mini-room technology is designed to make room cleaning more precise with its advanced algorithm software. Ready to get started? Shop the Amazon.com Memorial Day Weekend sales . A clutter free living room presents a special set of organizational challenges. 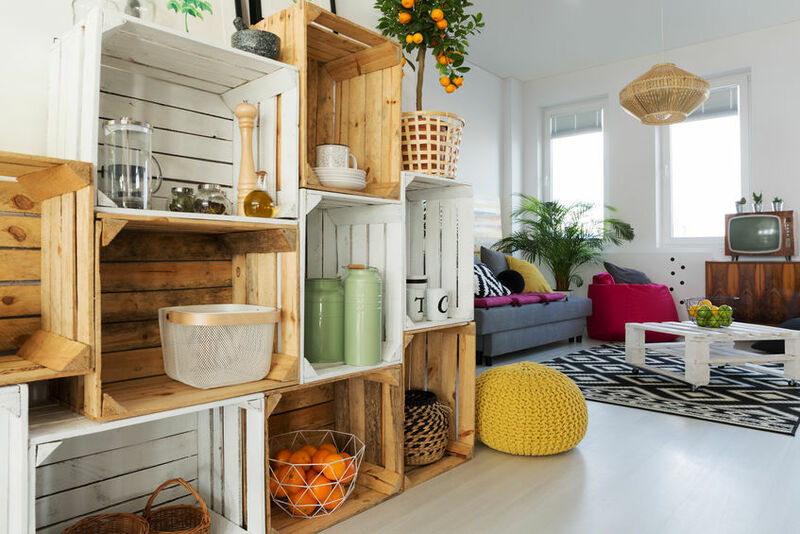 Here are some easy ways to create more storage for an organized living room. Should you wash white clothes in hot or cold water? Choose the wash water temperature by fabric type - not color. These laundry tips for whites can help. If you wash towels right, they'll last for at least five years. And they'll look color-correct, too. These tips can help.